If you’re living in Ang Mo Kio, be prepared for an epic arts invasion coming to an open carpark or town centre near you. Held over three weekends, from March 8 to 25, Arts in Your Neighbourhood is a family-friendly bi-annual arts festival that aims to bring dance, music, theatre and visuals arts to the heartlands. And this edition puts the spotlight on the north-east estate of Ang Mo Kio. 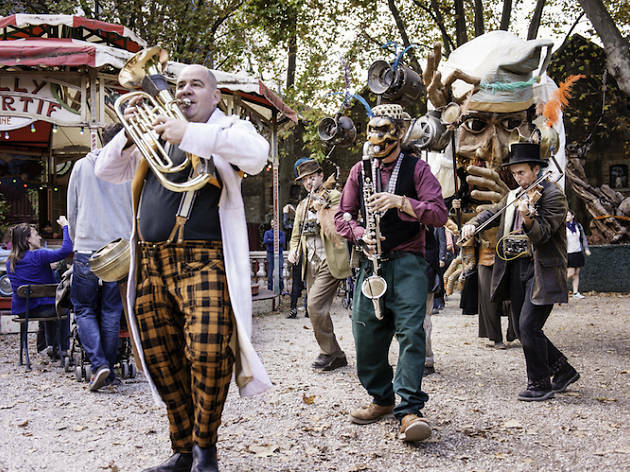 Expect an immersive theatre performance by Cake Theatrical Productions, Lopelab’s nomadic art caravan offering interactive art installations and film screenings, a neighbourhood photography trail and more – all inspired by the town’s history. The initiative also presents French street performance outfit Demain on Change Tout, who will be performing at various venues across the island including Bedok Town Square and Our Tampines Hub. 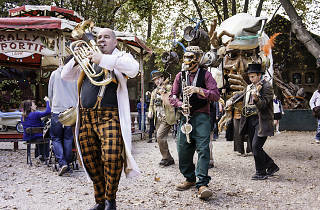 The roving spectacle, The Birdman and his Chimera Orchestra,features a 3.5m-tall puppet – that’s described as a cross between an ostrich and a man – alongside musicians and an acrobat.